PALM BEACH, Fla. (AP) — As the primary target of opponents over his Hall of Fame career, Wayne Gretzky can certainly empathize with the frustration of Oilers star Connor McDavid. 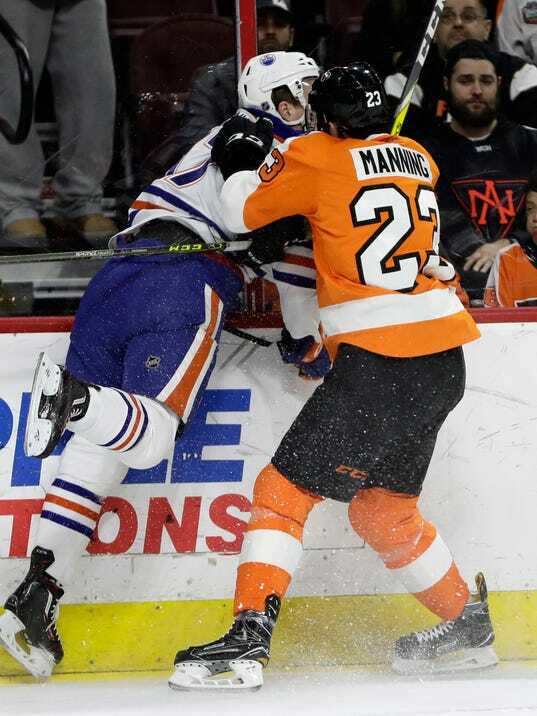 McDavid and Philadelphia Flyers defenseman Brandon Manning jostled all evening long in a 6-5 Edmonton loss. McDavid denounced the tactics of his opponent after the game, claiming Manning intentionally injured him last season; McDavid missed 37 games with a broken collarbone. Ryan Johansen and Colin Wilson combine for five points, and the Nashville Predators complete a perfect home stand with a 5-1 trouncing of the Winnipeg Jets. Thanksgiving week turned out just fine for the Nashville Predators. Behind two goals from both Colin Wilson and Ryan Johansen, the Preds defeated the Winnipeg Jets by a 5-1 final on Friday evening to complete a perfect 3-0-0 home stand. The victory gives the Preds points in eight-straight games at home and a 10-7-3 record overall as things continue to come together in the right way for the club. Nashville, TN – Matt Carle and the Nashville Predators announced Friday that the defenseman is retiring from the National Hockey League after a successful, 12-season career. Defenseman Anthony Bitetto, forward Miikka Salomaki (Injured Reserve) and goaltender Juuse Saros returned to the Nashville Predators morning skate on Friday. The Predators are seeking a sixth consecutive victory at Bridgestone Arena tonight. For the visitors, however, the road has been unkind. The Jets are losers of four straight away from home and will try to right the ship in part one of the teams’ home-and-home series (tonight at 5 p.m. CT). The Preds and Jets will meet again on Sunday at noon at MTS Centre.